Growing up, it was common knowledge for me that we had past lives, angels were real, and our loved ones never truly left us. My mom often taught my sister and I about angels and how to ask for help. We were taught to shield ourselves with white light. If we needed help with anything, we were taught to say “on Angels’ wings…”, something that my sister got tattooed as an adult. As I got older, these beliefs became internal and less acknowledged in everyday interactions. I often explained why I was a vegetarian to people, because I believed humans and animals come from the same source, but I never got much more into it than that. My dad passed away a month before my 21st birthday. What is an American college girl to do to get over her grief? I started going out… a lot. I was the girl who orchestrated nights out, limos, and townhouse parties. 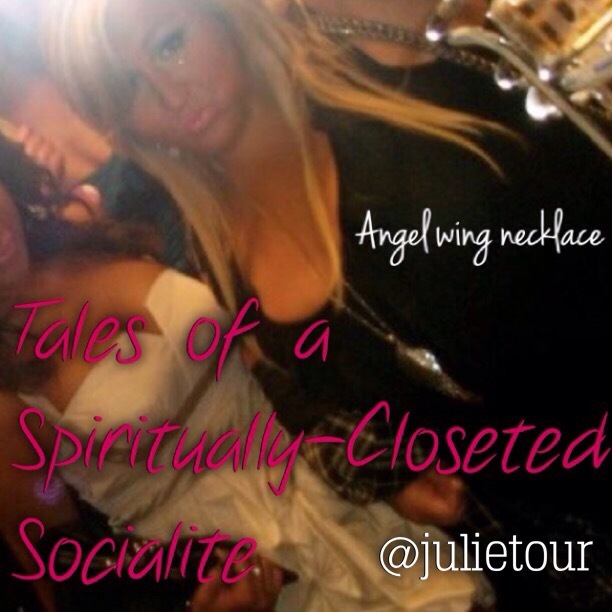 As my social network grew, I often threw VIP parties at local bars, and organized themed parties at my place. I filled my grief with friends and vodka. I didn’t care if you were gay, straight, considered an outcast in high school, or what your background was. I knew life can be hard and that everyone deserved a good time. I feel that’s why so many different kinds of people were friendly with me. If you were the odd one out because you couldn’t afford to come, I would pay. If you needed a ride, I would drive. If you wanted a place to crash, I would accommodate. I loved bringing different people together and having a good time. My little pockets of friends became one big circle. I never wanted the party to end. While I delved deeper into the social scene in southeast Michigan, and made friends around my college, I also started receiving signs and messages from my father through psychics and tangible signs at synchronistic moments, which wasn’t the lightest party subject. I kept a lot of my experiences to myself for awhile. I would go out with metaphysical crystals in my purse, and an angel wing around my neck, all the while feeling a little bit like a hypocrite and not completely myself. Through my journey I realized my most dramatic signs were experienced while sober. My biggest breakthroughs happened when I gave up drinking. I made a promise to myself to do whatever it took to take care of myself and help my intuition. I started using natural beauty products, gave up drinking, drank lots of fruit smoothies, and ate lots of healthful veggies and fruits (See video: 5 Steps to Develop Psychic Awareness). Signs were coming to me all the time, but I often missed my friends. While most of my “party” friends lost interest in me when I stopped going out, I hung on to a few. For the sake of privacy, we will be calling my best friend, Miles. Miles and I loved going to a gay bar named Pronto in Royal Oak for Karaoke night. I remember deciding to go out again for the first time since I promised myself to take better care of myself. It would be my first sober night at this particular place. Miles and I made our way over to the bartenders, who knew our names. I ordered a lemonade instead of my usual raspberry stoli and lemonade. The music was loud and the place was only mildly busy. We stood next to the bar, avoiding blocking others who wanted to walk up for a drink. I started telling Miles about the increase in signs I had been getting. He knew I had experienced numerology signs, but it was evolving (See video: Signs from Heaven Using Numerology). While I was looking at Miles, I felt as if something dropped on my right foot. I looked down to see a penny facing up on my black, knee-high boot. “No,” Miles answered as he held his drink. We both looked around. There wasn’t anyone next to us or any sign of someone passing by. At that moment, we both looked up as if it fell from the sky and laughed. Miles had this contagious, goofy laugh everyone loved to mimic. The old bar ceiling was painted a dark color and had patterns that suggested it was built a century ago. It had no logical place a penny could have fallen from. “That’s really weird,” Miles said, still laughing. I couldn’t help but smile. I was elated at the sight of a sign right on cue. “See what I mean! There are even Angels with us right here in the gay bar!” I said, excitedly. Those moments taught me that the divine is everywhere with everyone, no exceptions. The absence of the divine is just perception from man and is a fallacy. Even in a late night bar with drunken people, the divine is there. No one is excluded. No moment is excluded. It took a night out in a different state of mind to marry my two experiences of life: a party girl, and a spiritual practitioner. Perception is everything. 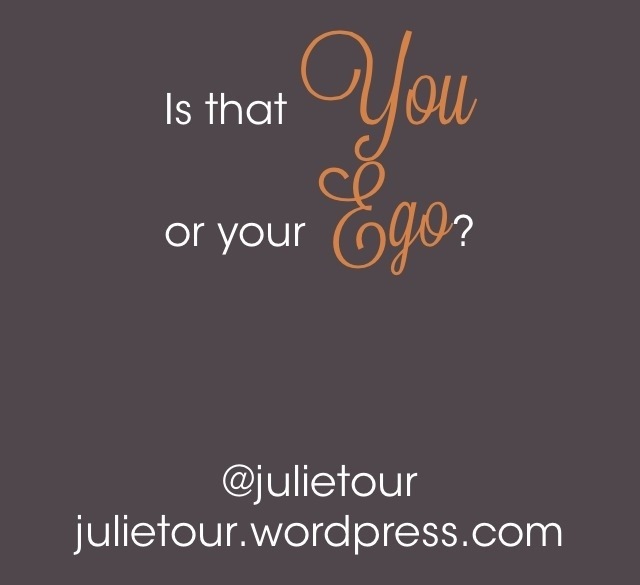 Is that You or your Ego? We are free will beings. We can choose which to bring into this world: loving-self or ego-self. Ego judges and punishes. Love forgives and heals. Love is the only thing that is real. I was recently asked to model my under arm and write about the natural deodorant I use. 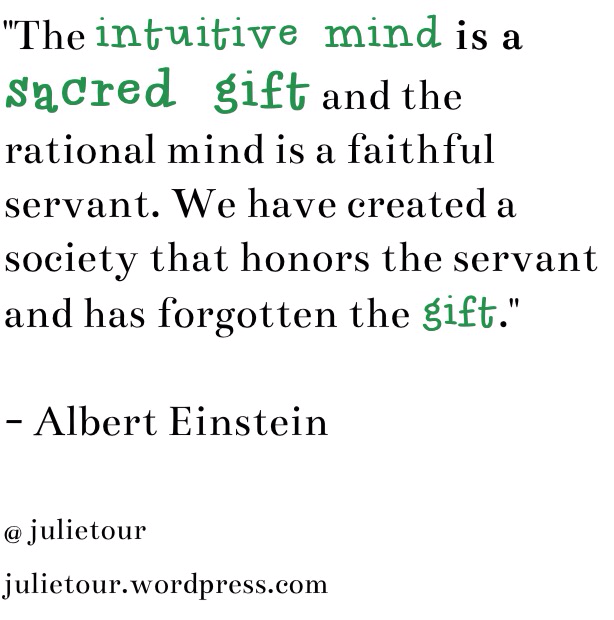 I posted about this in my “5 Steps to Develop Psychic Awareness” video on YouTube. I think it’s awesome that someone was inspired to put this together in response to the mainstream ads about deodorant with chemicals and metals. I am a strong believer that if you have yet to have a psychic/spiritual experience it may be your lifestyle keeping you in a certain consciousness. Using all natural, organic beauty products is but one part of what I do to decalcify my pineal gland. I wanted to share my picture and story from my natural deodorant shoot. My passion is to help people develop their own psychic abilities, re-establishing a personal connection to the divine. If you have not yet had a spiritual experience, it is more than likely your lifestyle keeping you in a certain consciousness. My journey is not the only possible journey, but I have definitely picked up a few things that have tremendously helped my intuition and psychic experiences along the way that I would like to share with you. Please feel free to post any feedback, questions, or tips you have picked up yourself while developing your intuition. Namaste xo. 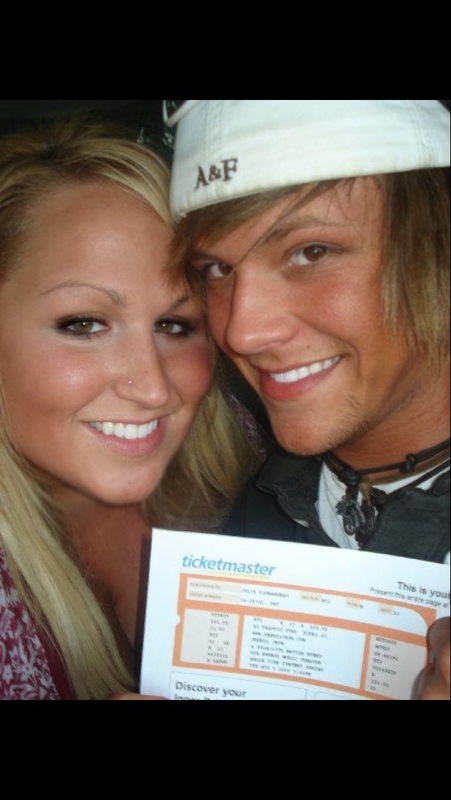 Sheryl Crow concert August 2008 with my BFF Mike! I was working at my Dad’s insurance office at the time for a company that my Mom had also worked for, and coincidentally was how they were first introduced. My parents names are Robert and Teresa. Other than my parents names and insurance, the rest of it didn’t make sense till years later. I ended up working for an office within a mile from my Dad’s old office years after he passed. I worked with people from the area where our first house was located. I found myself in a situation where I ended up being in a whistleblower situation with a couple of the guys I was working with. I also developed a texting word track and strategy that agents still use today because people weren’t answering sales calls as much as they used to. The song popped on my iPod one day when I was meditating and asking for guidance about how unhappy I was in that office. It was amazing that lyrics someone wrote years prior lined up with my life perfectly. I felt my Dad was watching over me. This situation not only proved to me that consciousness survives after death, but also that time is anything but linear. I firmly believe that God works through each one of us like he worked through Sheryl Crow to bring me a divine message… All we have to do is be authentic in our self expression. I have gone through a huge spiritual transformation during the past 6 years. People wonder how I had such a dramatic restoration of faith. It is honestly because dramatic signs like this keep happening to me! And all I had to do was ask the angels for help with an open, loving heart. I am an ordinary girl who has been blessed to have some extraordinary experiences. The spiritual experience is here for everyone.